• 4 Extra wide pockets. • Available in Oak or Dark Red Mahogany. • Constructed of 3/4" solid wood sides and oak veneer pocket fronts. • Durable clear coat finish. 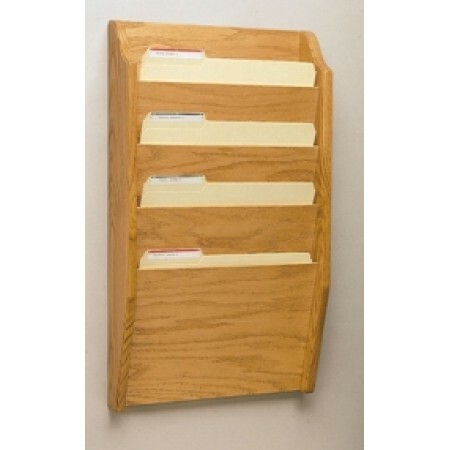 • Optional wooden pocket dividers available see part number 1320. • Predrilled for easy wall mounting.